Sourcing the right traffic to a landing page is often the most challenging aspect of a marketer’s job. It’s also the most important. But did you ever wonder if sending all your traffic to one landing page wasn’t the right play for your campaign? In this Unwebinar, KlientBoost’s Johnathan Dane shows how creating multiple landing pages can lead to better qualified traffic and ultimately, increased conversions. 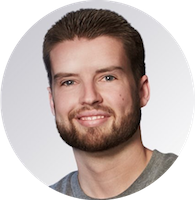 Johnathan Dane is the CEO & Founder of KlientBoost, a PPC lead gen agency that obsesses over beautifully designed landing pages and aggressive PPC testing. He still doesn’t understand why so many people dislike Nickelback. Not that he likes them or anything.